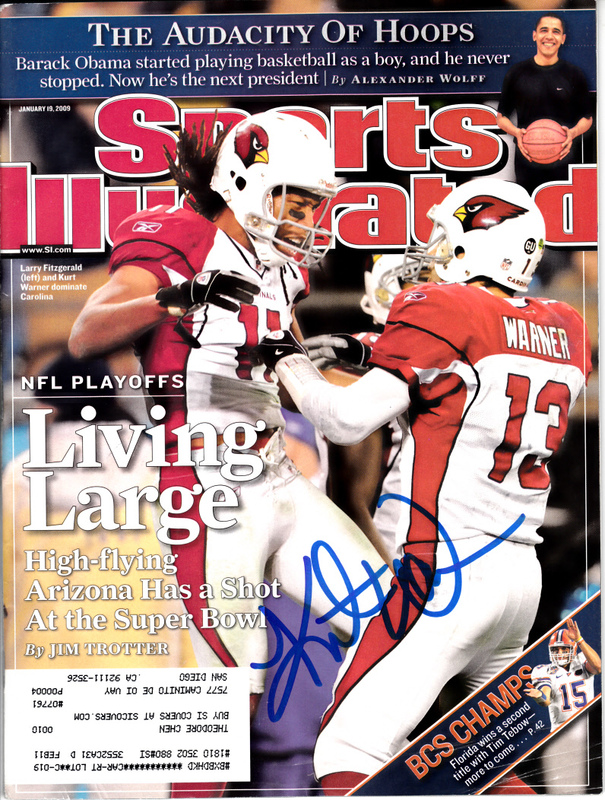 Complete January 2009 Sports Illustrated autographed in blue marker on the cover by former Arizona Cardinals superstar quarterback Kurt Warner. 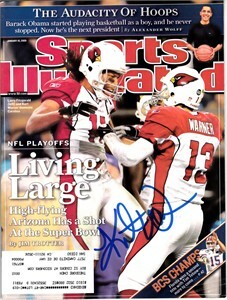 ONLY ONE LEFT. With certificate of authenticity from AutographsForSale.com.